This large antique walnut desk chair is very comfortable and capacious with deep padded, sprung seat with a horseshoe shaped padded back. 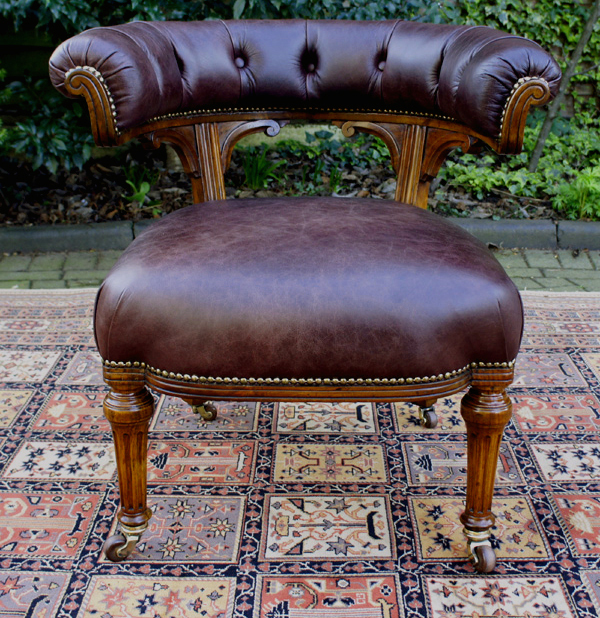 It has recently been upholstered in a burgundy coloured hide with an antique finish and brass studded borders. The walnut frame has been cleaned and polished and has a lovely patina. sprung seat with a horseshoe shaped padded back. 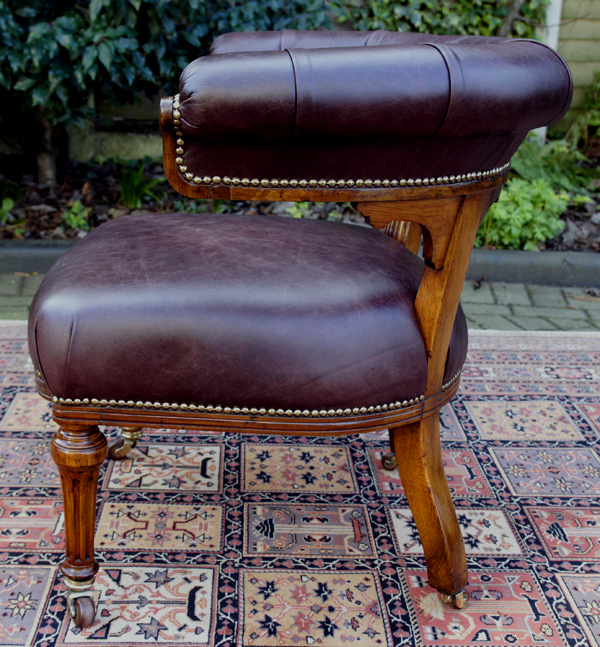 It has recently been upholstered in a burgundy coloured hide with an antique finish and brass studded boarders. all with brass and brown ceramic castors. 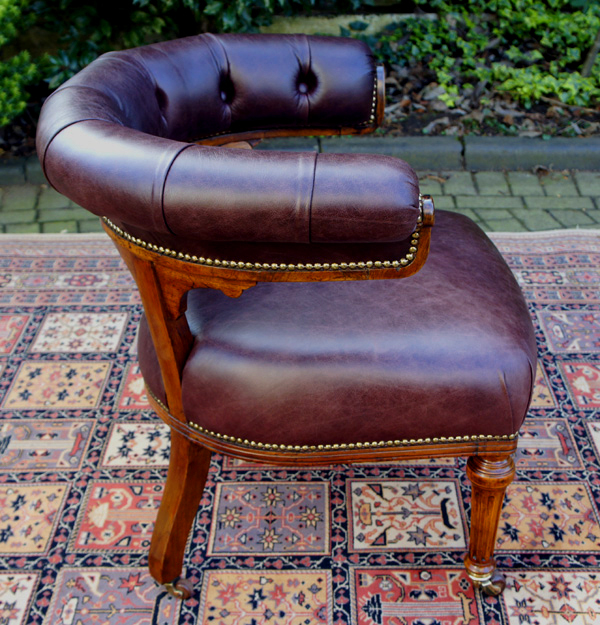 This very handsome, comfortable antique desk chair would grace any office, library or study. Good quality antique desk chair such as this are very sought after and are difficult to find in such good condition.